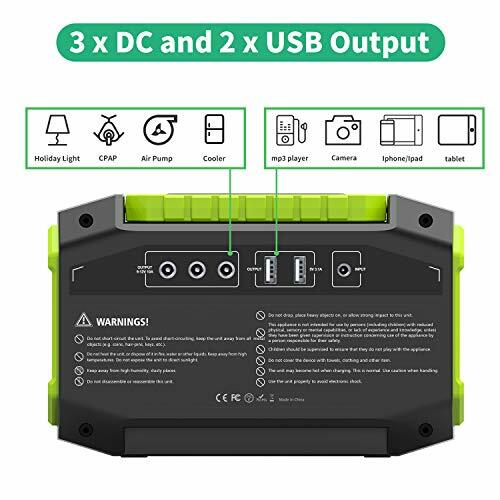 ?Large Capacity Battery Power? 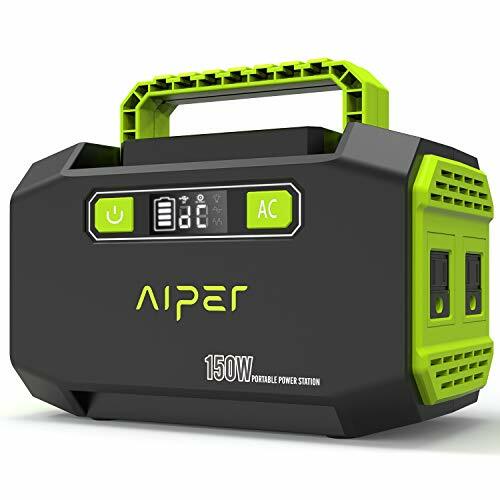 : Comparing to 42000mAh items, Aiper 45000mAh 167Wh portable generator provides larger power capacity, that means it can efficiently power up the same electronic devices longer. 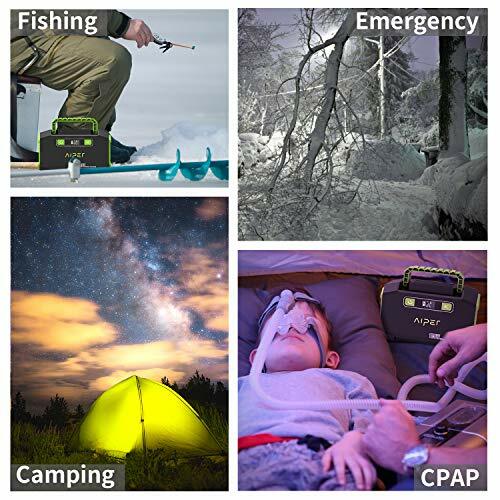 For example when it's fully charged you can recharge iphone8 for about 20 times and CPAP machine about 8hours. 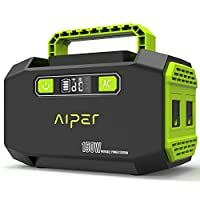 Ideal emergency power backup for home use/camping/hiking/hunting/, highly compatible but not limited to phones, tablets, laptops, holiday lights, radio,mini fans, TV. ?Portable & Three Input Modes? 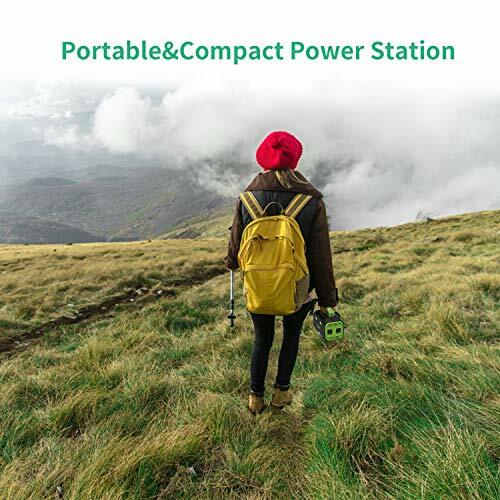 : It weighs only 3.52lbs and the compact appearance design makes it a great travel companion for outdoors enthusiasts. Three input modes to charge it easily. The package come with two adapters so you can charge it by wall outlet or by car adapter. Or you can recharge it under sun with a solar panel(13V-24V/over 18W)(not included) and you can search for rockpals solar panels to purchase it. ?Completely Safe & Very Quiet? : Built-in battery management system, short-circuit protection, over-current protection, over-power protection, low-voltage protection and over-temperature protection. Also no gasoline or other toxic fumes added make this camping generator completely safe. It's top quiet which makes it perfect for CPAP and so on. ?Buy with Confidence? 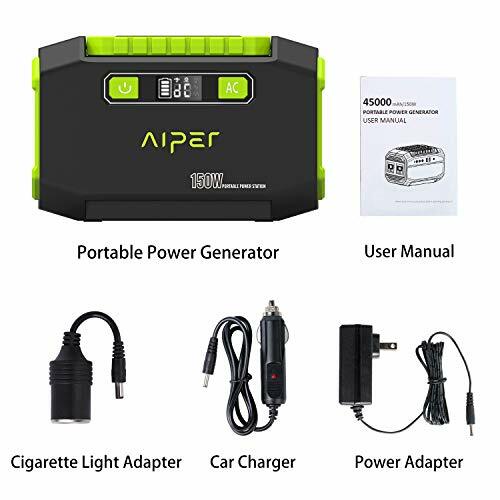 : At Aiper, customer satisfaction is our number 1 priority, that's why we provide you 45 days replacement or full refund and 12 months worry-free warranty. If you have any question, please feel free to contact us and we sincerely offer 24 hours friendly customer service. ?Multifunctional Outputs? 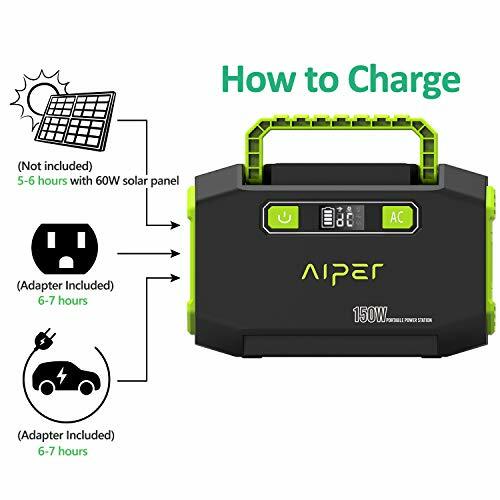 : Aiper portable power station features in variety of outputs, 2 x AC outlet(110V max 150W, peak power 200W ), charges or powers product such as laptop, drones, display monitors, smart phones, car refrigerator etc., 3 x DC port(10A / 120W max) perfect for holiday lights, robot vacuum, air pump, CPAP etc., 2 x USB port for mp3 player, e-reader, tablet, camera and more. Definitely meet your demand to different devices. Tips: please make sure AC device does not exceed 200W.